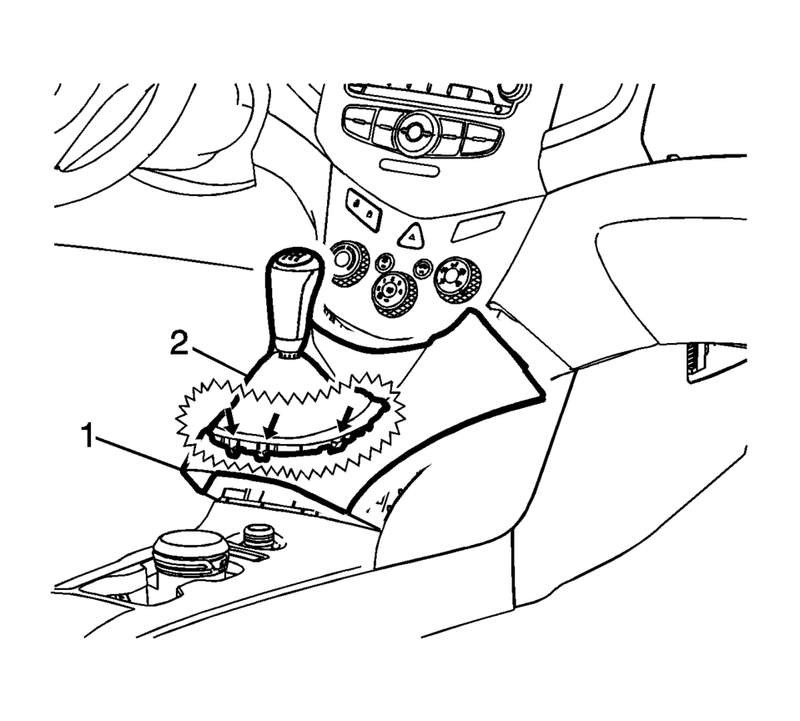 Use a flat bladed plastic trim tool in order to release the retainers securing the console cover?€‰(1) to the console assembly. 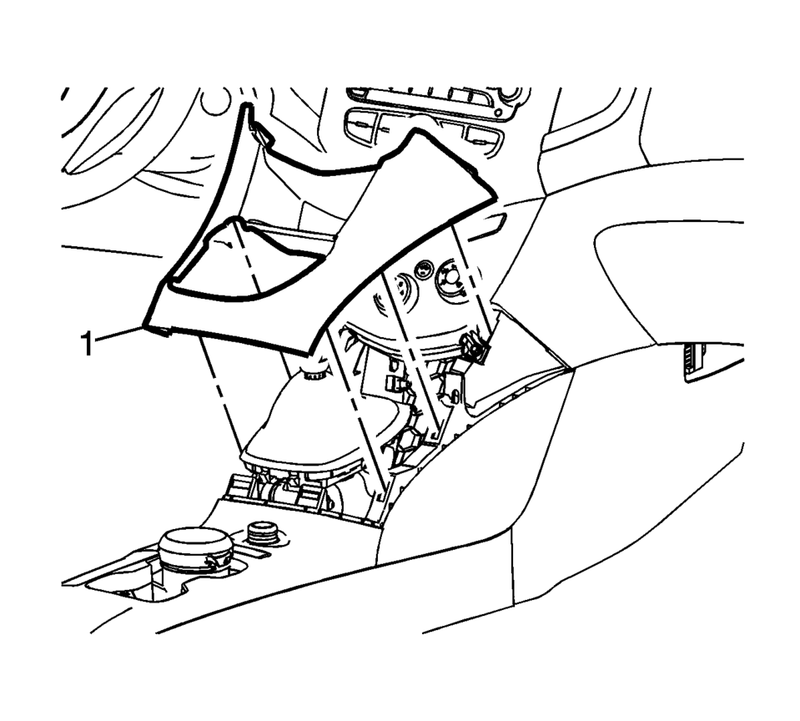 Reach under the console cover assembly?€‰(1) and release the retainer tabs securing the transmission shift lever boot?€‰(2) to the console cover assembly. Feed the transmission control lever boot assembly thru the opening in the console cover assembly?€‰(1). Remove the console cover assembly?€‰(1) from the vehicle. Position the console cover assembly?€‰(1) to the console assembly. 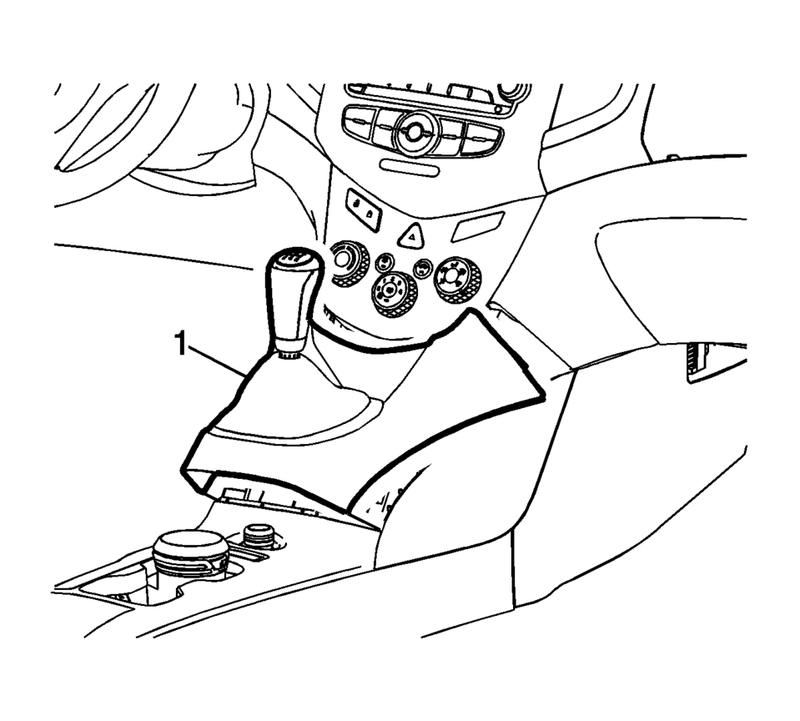 Snap the transmission control lever boot assembly?€‰(2) to the console cover?€‰(1) ensuring the retainer tabs lock the boot assembly to the cover. Install the cover assembly to the console.